I began my blog after returning from living in France, it was a continuation of the weekly emails I sent my friends and family about my adventures in a foreign land. It is an easy way to birth a blog and in that Kelly Page of Tasting Page and I have a common thread. She also loves to travel and I have been jealously following her most recent travels to Asia, but often find myself drooling over her L.A. restaurant adventures! Meal time was always an important time in my household. No matter how late my dad would get home from work at night, we’d all sit down and eat dinner together as a family. So meals were a special time. Then my mom started a family-wide program while I was in grade school where each of us would cook dinner once a month. We would find a recipe, shop for ingredients and then cook the meal. It taught us a lot of respect for the work that goes into a meal, and also taught us some fundamental cooking techniques and pairings. Food eventually became a big passion for me and after going through a culinary program in Los Angeles, I ended up quitting my corporate job of 15 years to go live in the foodie mecca of Paris. I started blogging in earnest while living in Paris. I wanted to chronicle my time there to not only share with friends back home, but also to have a resource to look back and remember every morsel I ate and every amazing sight I saw. When I returned to Los Angeles, albeit a bit begrudgingly, I created TastingPage to continue my food journey where I now write about healthy cuisine, local restaurants and all the places I like to travel for a good meal. I’ve been on a bit of a journey with the food I make. I’ve always eaten fairly healthy meals, but the more I learn about how food affects everything from our mood to weight to disease prevention, the more I want to make sure that I’m putting the best possible ingredients into my body. I’m trying to eat only food that grows from the ground and is produced responsibly, but luckily, living in farm-laden California I have a wealth of great options. My meal plan usually gets created while perusing the farmer’s market to see what’s fresh and looks good. I then take my farm fresh stash and concoct some ideas from there. I’ve been having a lot of fun spiralizing vegetables to make a gluten free pasta like these zucchini noodles with chicken. I also love these butternut squash noodles mixed with spinach and mushrooms. My favorite thing to eat is something new and different. I love to be surprised by meals and flavor combinations. There’s so many great restaurants in Los Angeles now that are focusing on vegetable only meals where you don’t miss the meat at all. I think that’s the sign of a good chef. If someone can prepare an amazing range of tastes without meat or half a pound of queso, then that’s a great meal to me. One of my favorite treats is freshly popped popcorn. Sometimes the only reason I go to the movies is for the popcorn. I make it at home all the time as well. I put the kernels in coconut oil and once popped, I drizzle freshly melted butter and a little nutritional yeast on top. Doesn’t matter how bad the movie is if I have a big bowl of corn in my lap! My perfect food day would be seeing, learning and tasting a great local ingredient. I was able to go to Baroda Farms last year during artichoke harvest. It was amazing to walk between the long green stalks of gorgeous purple artichokes growing from the ground. We got to speak to the head farmer and learn about the different strains he’s trying to grow and the day concluded with, what else, artichoke eating. It doesn’t get much better than that, except maybe with a side of locally grown vino! I became a huge David Lebovitz fan when I moved to Paris. I could related to his American in Paris stories, but also love his writing, photography and recipes. And when I miss Paris, I get a taste of it through his posts. I love the healthy and seemingly easy to put together recipes found at My Whole Food Life. Clean Cuisine taught me a lot about the right ingredients to put in my body and why. The site helped me a lot on my healthy food journey. Enjoy yourself. Do it because you love it, and that passion will shine through. And one word of caution: don’t quit your day job out of the gate because it takes a lot of work to make money off your blog. That said, don’t think about money right away. Start off by sharing the joy and then hopefully the rest will follow. Keep up with Kelly’s tasty tidbits on Twitter, Facebook, Instagram, Google+ and Pinterest and of course by visiting Tasty Page. How about you? What would you like to ask Kelly? What’s your perfect food day? I need to implement a family-wide dinner program at my house, at least with my teenagers. And we are big popcorn fans at our house, I always have a container of kernels to pop! @Julie, how does your family like to eat popcorn? What do you put on it? Or do you do straight up butter and salt? 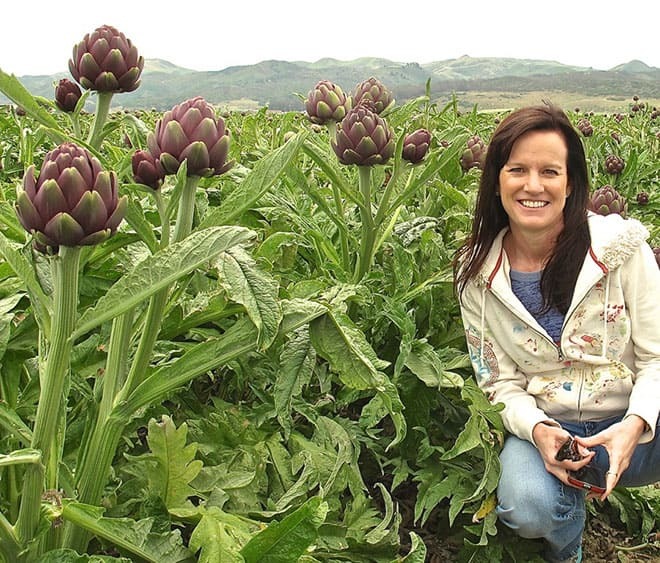 Loving your pic with the artichokes!!! They are so beautiful 🙂 Fresh local food is my favorite, currently anticipating the return of the local farmers market!! @Bethany, I myself had not seen artichokes like that until I was traveling through Brittany in France a couple of years ago, they are pretty amazing! I love reading about other bloggers, especially ones that love popcorn as much as I do. I look forward to following her posts. @Mary, I had no idea there were so many popcorn lovers out there – I love it too! Popcorn!! Just yesterday I discovered this local company (Maryland) that makes caramel popcorn dusted with Old Bay seasoning. Yeah, at first I was hesitant but the stuff is fabulous! New obsession. @Kimba, I LOVE the idea of Old Bay with caramel for the salty/sweet combo – that is amazeballs! What a wonderful interview. I’m a foodie and want to try her spaghetti squash pasta recipe! @Estlelle, you and me both, I have never had zucchini made that way! I really enjoyed this article. Thank you for sharing. Thanks for featuring me Andi on your wonderful blog, and Kimba, I’m going to be in Baltimore in a few weeks, so no doubt I’m going to have to check out that Old Bay popcorn. I love Old Bay almost as much as I love popcorn! I love Kelly’s advice for new bloggers. A year into blogging, I am so glad I didn’t start as a way to make money. It takes a lot of work. If I had the pressure of monetizing my blog, I probably would’ve lost the passion or joy in it already. Wow, those artichoke plants are ginormous! @Theresa, at nearly 7 years in I still think it is great advice – monetizing is hard and there are days when I forget why I started! 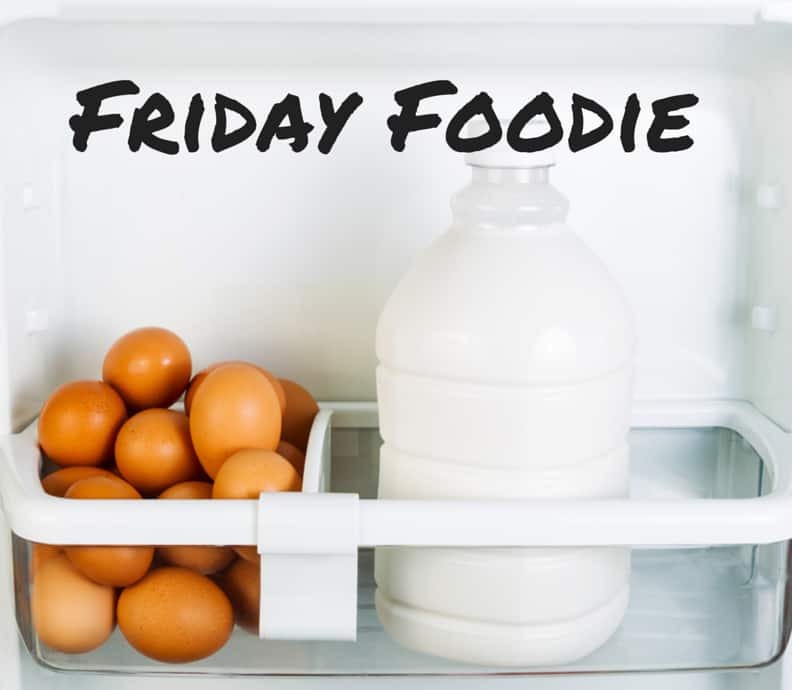 Every time I see that cool photo of the fridge I wonder what delights away. So glad to meet Kelly. @Carol, thanks so much for the compliment and glad you enjoyed Kelly! Always love to hear about other bloggers, their experiences, and the advice form what they’ve learned. Great interview! @Chrisy, thanks and so glad you enjoyed it. I love meeting new bloggers as well! Great interview, I loved reading it! So nice to meet you Kelly! I love your images! 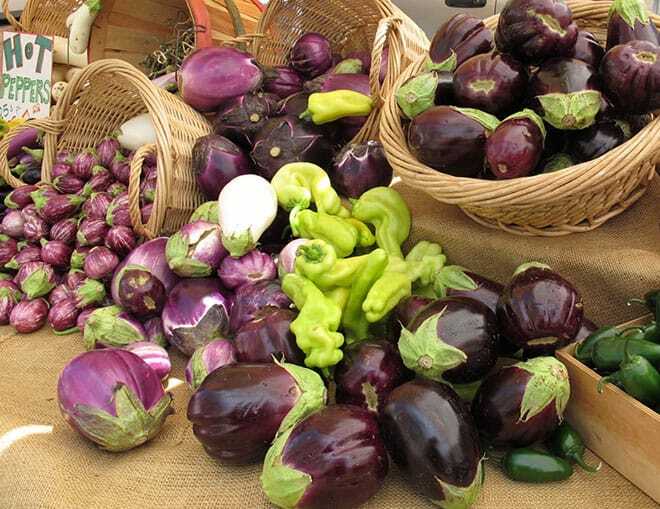 We are huge fans of locally grown here and try to make visits to all of the local markets. Isn’t it wonderful having freshly grown goods? Making sure I follow on social media for sure! @Carolann, fresh ingredients make all the difference in the world. Kelly and I are both lucky to live in California where we have year-round access to all kinds of fresh foods – a total luxury! Well, since Kelly is a friend of mine, what can I say! She’s awesome and I’m always impressed at how wide her palate range is! She’ll pretty much eat anything, and she gives me a hard time about things I don’t like to eat! Great to see Kelly featured here, Andi!! Nice job! @Christina, I would love to be one of Kelly’s dining companions! I eat just about anything so we would get along just fine! Reading this post made me so hungry! My favorite snack is popcorn too. I have seen the zucchini noodles before but have yet to make them. Maybe I will try this weekend! @Gina, the danger of food blogs….I have been eating a lot of popcorn lately myself and have yet to try zucchini noodles, but really, really want to now! LOVE LOVE LOVE your blog!! Your food posts look so wonderful and healthy! Eggplant is one of my favs! My fav comfort food is pizza and popcorn! How blessed you are to have lived in Paris….If I could just make it there once I would be in heaven! I am a fashionista…so it is my big dream to travel there!! @Valerie, isn’t Kelly’s blog awesome?! So nice of you to leave such a lovely comment. I love popcorn too, not so much on pizza, I am a little pickier. Make sure to visit Kelly’s blog often, there is ALWAYS good things happening there! @Amanda, great play on words, right?! Love this, especially because I’ve written about how sometimes I go to the movies just for the popcorn, too! @Lois, I love popcorn, but find movie popcorn too greasy, with so many theatres cracking down on outside food, I do most of my popcorn eating at home! A perfect food day for me is one where I don’ t have to do all the cooking! 🙂 I do love salty crunchy snacks…perfect food days are usually family get togethers where everyone brings finger foods!! @Jamie, since my hubby does the cooking I guess I have a perfect food day every day. I love salty and crunchy too – I used to love sweet, but as I get older, I am all about the savory! This was a great interview read. I love popcorn, mostly kettle corn. But I am always up to try new flavors. @Breanna, there are so many awesome popcorn flavors these days – it is hard to choose! @Krystel, me too! Currently I like anything with sea salt! This all looks so yummy! That pasta! Thanks for sharing! Such colors! @Nelly, I know – you eat with your eyes too, so presentation counts! I love that her favorite thing to eat is something new and different. So many foods, so many combinations, and a lifetime to try them all! @Laurie, well said and I would love to have that as a life motto! I enjoyed reading this interview and now I must say I’m a bit hungry 🙂 Thank you for sharing! @Tanya, so glad to hear. That is the danger of reading food blogs! I think that’s a great bloggi– HOLY CRAP LOOK AT THAT DELICIOUS CHICKEN DISH DROOL! @Kat, glad you think so, Tasting Page will definitely whet your appetite! I made cupcakes for the first time in life today and they’re quite ok so I consider them to be today’s perfect food. @Mai, yum! What kind did you make?! Great interview! 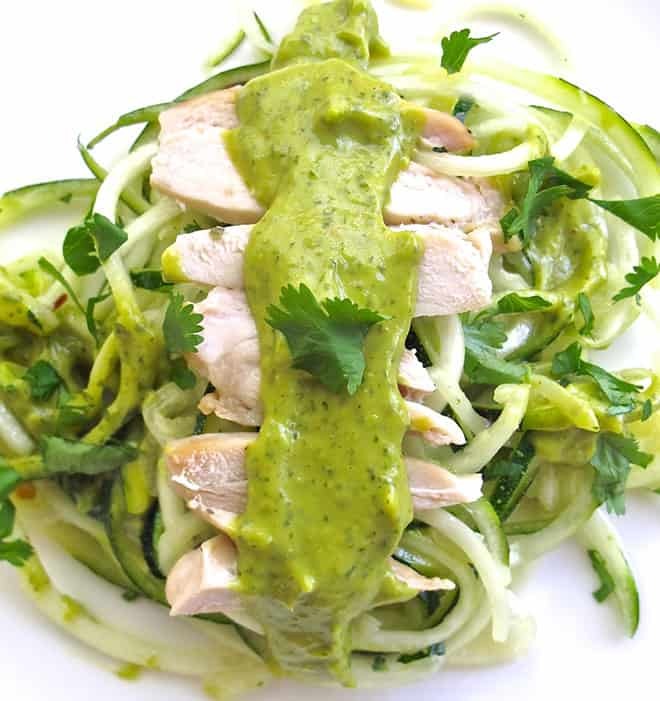 Those zucchini noodles with chicken look amazing. @Jess, thanks! And I agree with you on those noodles! Kelly is quite clever! That zucchini recipe looks tasty! @Ronda, I agree! My hubby has been on a zucchini lately, but he hasn’t made anything like this! I have been wanting to try zucchini noodles – yum! @Jacklyn, I have never had veggie noodles, now I am really curious to try some! Nice to meet you Kelly! We have popcorn on family movie night.. I have been wanting to try zucchini noodles. You have tempted me to go on head and try them. @JcCee, I have never had zucchini noodles and am dying to try them out! Popcorn! I am so there, and totally agree it doesn’t matter what the movie is along as we have the popcorn in our lap. We prefer to have hot and fresh popcorn with only and I repeat only butter and salt, just like the movies. I can go for the carmel and sugary stuff but only as a sweet treat on its own and not with a movie. Anyway, she has a great blog and thanks for introducing her, albeit I am a bit late with the comment! Thank you for the information. You learn so much here. I maintain 4 blogs, 2 on a regular basis and 2 every so often…I love to blog but it does take up a lot of time!